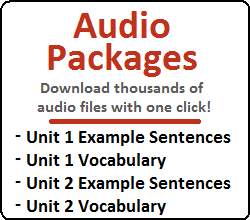 The vocabulary for this lesson can be found later in the lesson. I would like to explain how these words are created before I show them to you. In this lesson, you will learn about words that contain an extra ㅅ. This is called a 사이시옷, and its inclusion in words is very complex. Luckily, there are a set of rules that I can teach you. Let’s get started! Notice in 아침밥 that the final letter of the first half of the word is a consonant. That is, 아침 ends in a consonant. In other words, the final syllable has a 받침. Sometimes you will see compound words where the first half of the word originally doesn’t end in a consonant. That is, where the final syllable of the first half of the word doesn’t have a 받침. For example, I can combine “어제” (yesterday), and “밤” (night) to refer to yesterday’s night (last night). Notice that 어제, which would be the first half of our compound word, doesn’t end in a consonant. In other words, its final syllable doesn’t have a 받침. In these situations, you will often see ㅅ inserted into the place where a final consonant would go. For example, if we combine 어제 and 밤, the compound word is not 어제밤, but instead it is 어젯밤. The addition of a ㅅ into a compound word is called “사이시옷.” 사이 means “in between” and “시옷” is the name of the letter ㅅ. There are rules that indicate when a 사이시옷 should be included. This is a very complex topic, and is something that many Korean people find difficult as well. 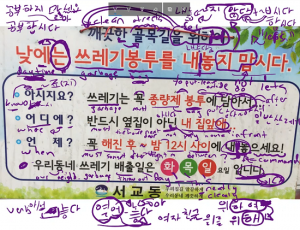 In fact, this is the kind of thing that Korean students learn in their Korean language classes in high school. 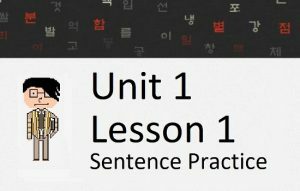 Where a Canadian high school student will learn how to use a semicolon in his high school English classes, a Korean high school student will learn how to use the 사이시옷 in his Korean classes. 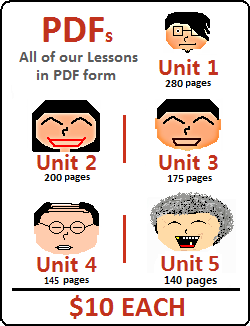 I would like to use this lesson to explain the rules of 사이시옷 to you. Rule 1: I’ve already explained this, but I want to state it specifically as a rule. The 사이시옷 is only added between the individual constituents of a compound word. It is not added within a regular word. For example, 가방 is a word on its own. It is not a compound word. Even though “가” doesn’t have a 받침, 사이시옷 would not be added to it. 갓방 is not a word. However, 어제 and 밤 are words on their own. They can come together to make a compound word – 어젯밤. In this case, 사이시옷 is used. Rule 2: I’ve already explained this as well. The 사이시옷 is only added when the final syllable of the first part of the compound word does not have a 받침. The three words above are compound words. However, the first half of each compound word (감, 호박 and 마늘), ends in a consonant. 사이시옷 is not added to these words because, well, it can’t fit! The three words above are compound words. The first half of each compound word (깨, 나무, 배추) ends in a vowel. As you can see, 사이시옷 is added to these words. Rule 3: You never add 사이시옷 when one of the constituents of the compound word is a foreign loan-word (excluding Hanja). These foreign words typically come from English. Using Rule 1 and Rule 2, you can understand the four examples above. 피자 is a word borrowed from English. If there is one of these “foreign” words in a compound word, even if the final syllable of the first word ends in a vowel, 사이시옷 is not used. Rule 4: This one is hard to know, especially if you don’t know Chinese or aren’t keeping up with your Hanja studies. At least one of the constituents of the compound word must be of pure Korean origin. As you know, the other half of the compound word cannot be a foreign load-word. However, the other half can be a Hanja-derived word. In both of the words above, both constituents of the compound words are of pure Korean origin. 배 (boat), 비 (rain) and 길 (road/path) are all original Korean words. There is no Hanja equivalent for any of those words. For a Korean learner, it is very hard to know this unless you have been exposed to Korean and Hanja for many, many years. For me, even without looking in the dictionary, I assumed that 배, 비 and 길 were pure Korean words. I honestly don’t know how I knew this, I just did. Years of exposure to these types of words have given me experience with dealing with them, and this experience gave me the assumption. If you don’t know this right now – you probably don’t have to. Your brain, with time, will most likely be able to recognize Hanja-derived words from pure Korean words eventually. Remember the rule. At least one of the constituents of the compound word must be of pure Korean origin. The other half can be a Hanja-derived word. 등굣길 meets the requirements of this rule (and all the other rules discussed so far), so a 사이시옷 is used. In both of the words above, both constituents of the compound words are of pure Korean origin. 해 (sun), 무지개 (rainbow) and 빛 (light) are all original Korean words. There is no Hanja equivalent for any of those words. Remember the rule. At least one of the constituents of the compound word must be of pure Korean origin. The other half can be a Hanja-derived word. 장밋빛 meets the requirements of this rule (and all the other rules discussed so far), so a 사이시옷 is used. The words 찻간, 곳간 and 툇간 aren’t really said anymore, and young Korean people probably won’t know what they mean. However, older Koreans and those who watch Korean dramas set hundreds of years ago might know. 나잇값을 좀 하세요 = Act your age! 그런 것 대신에 고깃국을 먹는 게 어때요? = Instead of that, how about eating meat soup? The rules for using 사이시옷 can be confusing. Unfortunately, the pronunciation of words containing 사이시옷 aren’t straightforward either. Notice that other parts of the word might have a different pronunciation than the spelling for other reasons. For example, 값 on its own is pronounced as “갑.” Also, 빛 on its own is pronounced as “빋.” The following pronunciation guides include the pronunciation changes due to the 사이시옷, but also due to other Korean pronunciation phenomena. I love lessons like this! I just love them! Just completely filled with grammar nonsense. Haha!